Sales management takes its lumps and everyone has an opinion about the failure of sales management. 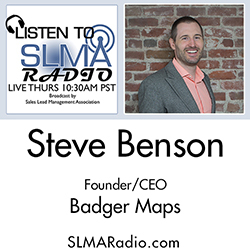 In this program, Steve Benson, CEO of Badger Maps shares his opinion about the number one failure of sales management and what can be done to fix it. The host is Jim Obermayer. Steve is the Founder and CEO of Badger Maps. After receiving his MBA from Stanford, Steve worked in Outside Sales and Sales Management at IBM, HP and Google where he worked in the enterprise sales group. Steve was Google Enterprise's Top Sales Executive in 2009. 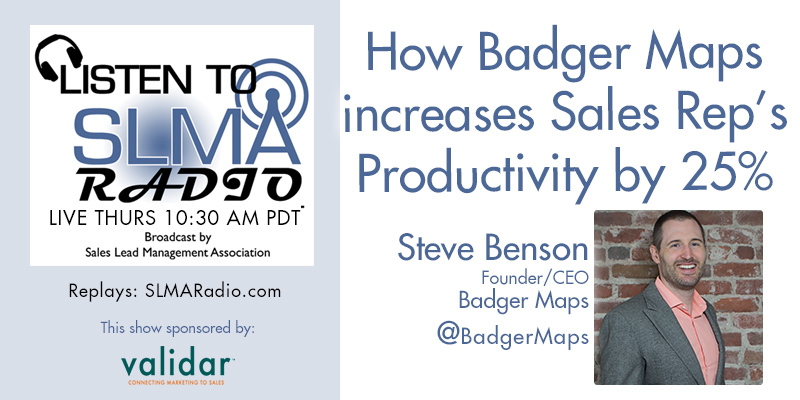 In 2012 Steve founded Badger Maps, the #1 Sales App in the Apple App Store, which helps Field Sales People be more successful.